How to Watch March Madness from Anywhere in the World? Spring is here and the biggest sporting event of the season is geared to kick off. The NCAA Division I Men’s basketball tournament, popularly known as March Madness, will kick off on 19th March. CBS Sports and Turner Sports have won exclusive broadcasting rights to the 2019 March Madness tournament. These networks will broadcast different matches live via several of their platforms including CBS Sports, TNT, TBS, and truTV. The schedule is already out: the first four matches will be broadcast on truTV; the first and second rounds on CBS, TNT, TBS, and truTV; the regional semi-finals and finals on CBS and TBS; the final four on CBS; and the championship round on CBS. However, you can still stream the tournament live on a variety of other online free sport streaming sites which we are going to discuss below. How to Watch March Madness Tournament Live? 1 How to Watch March Madness Tournament Live? Hulu offers access to all the channels broadcasting the 2019 March Madness tournament, including TNT, TBS, truTV, and CBS Sports. The online streaming platform will air all the matches live as they happen, so you can catch it all on one place. You can watch March Madness from anywhere and at any time via Hulu. The platform is accessible through a variety of devices including iOS, Android, FireTV, Apple TV, Roku, Xbox, Chromecast, Samsung Smart TVs, and most of the major web browsers such as Google Chrome and Mozilla. You also have the option to record the matches to watch later as the service comes with 50 hours of cloud DVR space for each subscription – you can also upgrade to 200 hours of DVR space for an extra $14.99 per month. Hulu’s live TV plan featuring these channels goes for $39.99 per month. New subscribers get a 7-days free trial period. You will find all the channels broadcasting the 2019 March Madness tournament in one place on YouTube TV. The platform will be streaming all the matches live in real time. And, if at all you may not be in a position to catch each match live, you can take advantage of the free, unlimited DVR storage space and record the matches to watch later. YouTube TV allows its subscribers to stream live on up to three separate devices simultaneously at no extra cost, so you can share the opportunity with your friends. The platform is accessible from a variety of devices and platforms including Chromecast, Roku, Apple TV, Android TV, Xbox One, Samsung and LG Smart TVs, iOS, Android, and major web browsers. YouTube TV subscription costs $40 per month and comes with a 7-days free trial period for new subscribers. DirecTV Now will also be streaming the 2019 March Madness tournament live via all of its bundle subscriptions. However, unlike Hulu and YouTube TV, the four networks authorized to broadcast this tournament are not all in one place. TNT and TBS channels are available on all five bundle subscriptions: Live a Little($40/month), Just Right ($55/month), Go Big ($65/month), Gotta Have It($75/month), and Todo Y Mas ($45/month). truTV is available only on the first four bundle subscriptions while CBS Sports is only available on Go Big and Gotta Have It. DirecTV Now also offers subscribers up to 20 hours of free DVR storage space where you can record matches to watch later. It also has a 7-days free trial period for new subscribers. 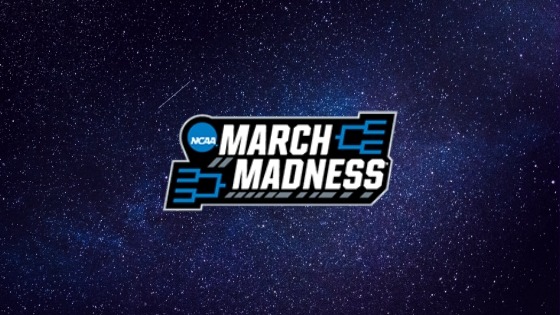 Unless you are located in the U.S. you will need a virtual private network (VPN) to stream the 2019 March Madness tournament live owing to network broadcasting restrictions. ExpressVPN will enable you to stream March Madness live from anywhere in the world without the slightest interruptions. Just subscribe to the service, log in, and choose a server located within the U.S. before opening any of the recommended streaming services. It will afford you the same conveniences and privileges as U.S. citizens so you can enjoy the best of 2019’s basketball tournaments. ExpressVPN is good, but I wasn’t a huge fan of their price. I managed to find a coupon for 1y sub of NordVPN – cheapnord, if anyone else is on a lookout.